The Child Dental Benefits Schedule provides eligible children and teenagers aged 2 to 17 with up to $700, capped over a two calendar year period, for basic dental services.The two year cap period starts when a child or teenager first receives an eligible dental service. 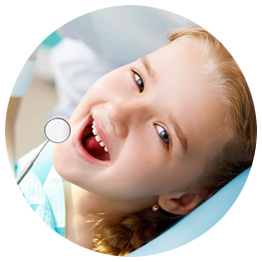 If your child is eligible, call Coronation House Dentist Nambour on 07 5441 1987 to book an appointment. Or call Coronation House Dentist Nambour to talk with our Nurse Receptionist, Sue. Eligibility may be affected if you go from getting fortnightly Family Tax Benefit Part A payments to lump sum payments. If your payments change, contact us about your eligibility for the CDBS. From 1 January 2017, benefits for basic dental services are capped at $700 per child over 2 consecutive calendar years. After the dental provider has provided the agreed services, they will either bulk bill or charge you for the services. If they charge you, you need to pay the account and claim the benefit through us.